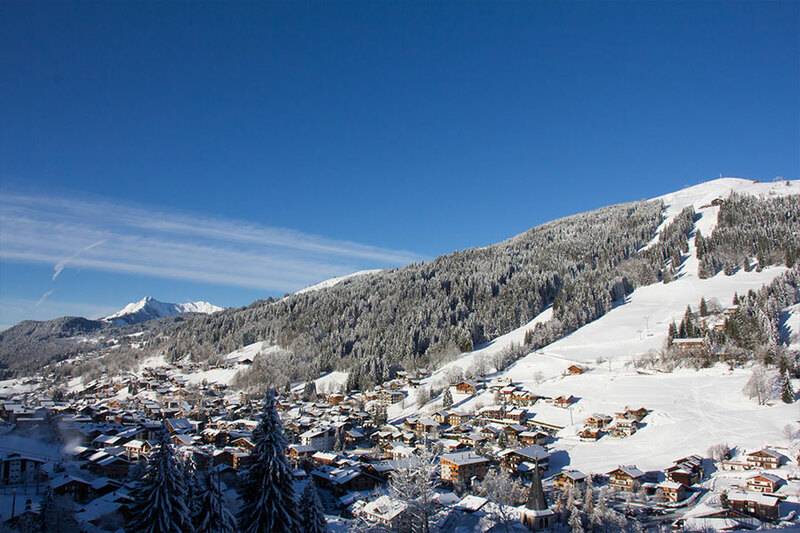 Les Gets is a quaint alpine town with as much (if not more) alpine charm than Morzine. It has a long history of logging so pretty much everything in the town is made of wood and many traditional alpine crafts are still practiced there today. Let Gets’ ski area links up to Morzine and you can either buy a pass for just Morzine and Les Gets or for the entire Portes du Soleil, which is easily accessible via Morzine. Les Gets is set in a narrow valley and has a massive amount of ski-in, ski-out accommodation for such a low resort. 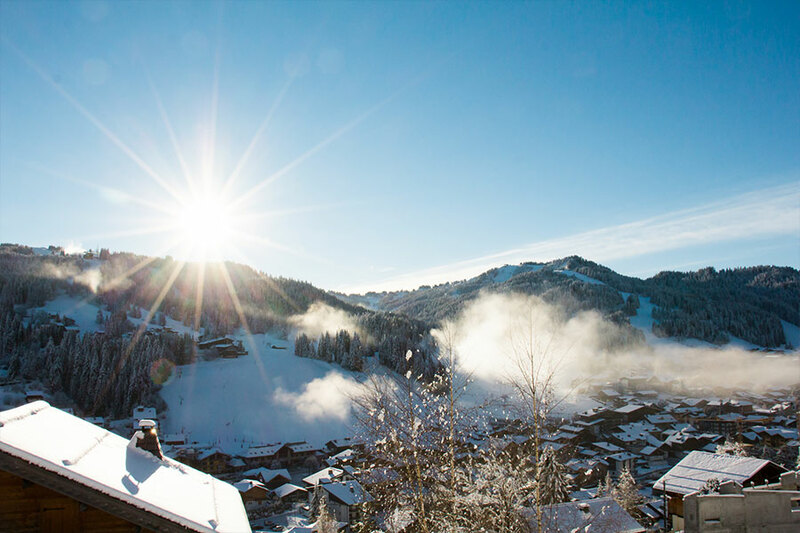 The skiing in Les Gets is ideal for families and beginners; the wide, tree-lined pistes are really hard to get lost on as most of the trails lead back to the centre of town. Plus the Grand Cry kids’ area and boardercross course provide a fun learning environment, for kids and adults alike. The best part of the Les Gets ski area is Mont Chéry, which is a quiet little ski hill a short walk away from the main lifts. Over here you’ll find amazing off-piste skiing and wide, quiet pistes that are just as fun to charge down as they are to cruise at your own pace. Book your ski transfers from Geneva to Les Gets HERE. Le Boomerang: The best home-made chips in Les Gets, plus an entire menu of amazing home-made tapas and classic take-away food, all under the same roof. Vina Annapurna: This new restaurant and wine bar has a small but mighty menu, comprising of modern twists on Savoyard classics. Delicious. ApresSkiBar Les Gets: You’ve guessed it, another piste-side après spot. Based in the Bellevue Hotel, ApresSkiBar serves up yummy food, tasty drinks, live music and good times. Le Pub Irlandais: An Irish bar with a welcoming, friendly atmosphere and lovely home-brewed beer. Just what an Irish bar should be. Barbylone: A cool and quirky little hole in the wall where the locals like to convene. Probably the smallest bar in Les Gets but definitely the wildest. Igloo Chalet Club: L’Igloo is Les Gets’ only night club and was one of the first ever ski-resort night clubs in France. It opened in 1938 as a dance hall and is now the place to be after midnight – especially on a Tuesday when the chalet staff have their night off. Berthet Sport: A family-run shop that’s been in Les Gets town centre for over 50 years. Top-quality gear for hire or to buy, and you can also get your boots fitted or your skis serviced. Delavy Sports: Also a family-run business, Delavy Sports has been around since 1940 and has since accumulated plenty of experience in the rental industry. Friendly and professional service, whether you’re renting or buying. Chalets Les Gets: Centrally located chalets with easy access to the lifts, friendly hosts, amazing food and luxury service. Pure Peaks: Pure peaks run The Nest, a beautiful, quiet chalet just outside Les Gets; the perfect place to spend a quiet week away. Wild Beets: Homemade food and cakes, and amazing coffee, all right at the bottom of the slopes. La Grande Ourse: Not just great for coffee, this piste-side restaurant on Mont Chéry also does exquisite food and has one of the best views of Mont Blanc in the area. Look out for its day-long live music extravaganzas.